Every night through December members of the Yogscast streamed games and took on challenges to raise money for five different charities. Over the month the team raised $1,104,882.09. The team will be splitting the money (which amounts to just over £725,000) between Oxfam, Doctors Without Borders/MSF, Fauna & Flora International, Special Effect, and End Polio Now. Since starting their fundraising back in 2011, the Yogscast’s audience has donated more than $2.6 million to international charities. The Yogscast incentivised viewers to donate by offering a game bundle via Humble Bundle for $25. $175,000 of donations were raised by the team singing ‘Does Santa Claus Visit Zombie Pig-men Kids in the Nether in Minecraft (At Christmas Time)?’ and from limited edition Christmas jumpers. 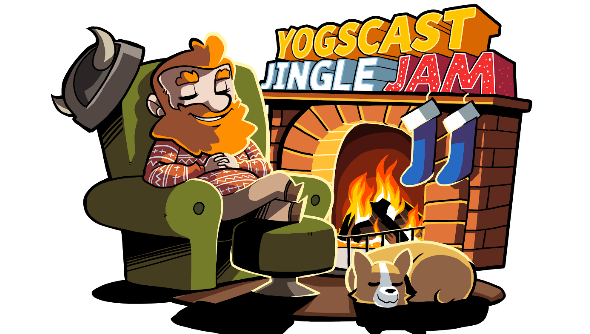 “It blows our mind every year just how incredibly generous people are – I want to thank each and every person who donated to make the Jingle Jam so successful,” Yogscast co-founder Lewis Brindley said.